Creating quality content is so important for SMEs primarily for SEO and driving traffic, secondly to show your level of expertise and finally to educate your customers. There are various ways to manage your content including managing the content on each webpage, writing a blog, managing keywords, managing social channels and spreading content. In order to effectively create a content strategy it is important to know and define who you want to be reading your content. I.e your customers and potential investors. It’s vital that you imagine who your reader is when deciding what to write and how to write it. What is their demographic, age, income and interest in your company. Then you can segment your audience directing the right people to the right content. Define your object with your content and refine each article to fulfil your objective and distribute your content dependent on the object to the right customer/investor. You have a plethora of sources to distribute the information be it social media, blogs, newsletters, videos, events, infographics, webinars, newspapers and more. But the world is noisy. Try various channels and see what works for you. Organise yourself. Figure out when certain content needs to be released, plan an editorial calendar and use automated services to distribute your content at the right time, lined up to the correct dates. Keep it clear and concise. Everyone is busy. If you aren’t saying something smart and worthwhile reading get rid of it. Don’t waffle. The world doesn’t need fluff and neither does your customer. Track your results. Think back over what worked and what didn’t. Use google analytics or your website backend to figure out where customers went after visiting your content page, and where they came from. 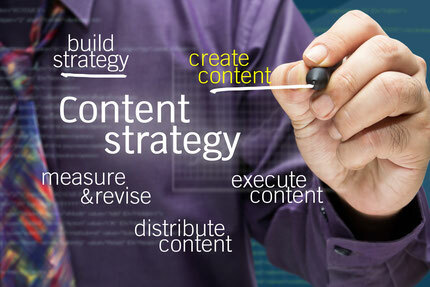 In short, get creative, show quality concisely, be an expert, and drive traffic and your content strategy will fly.